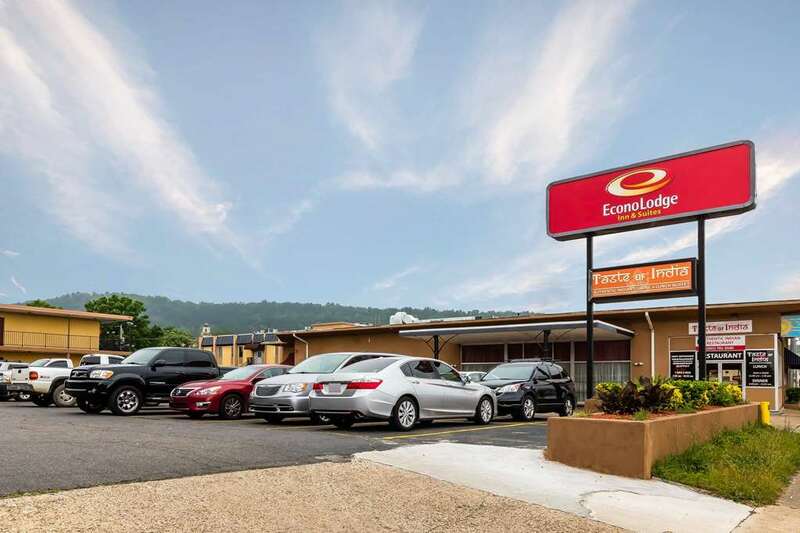 An easy stop on the road awaits at the Econo Lodge Inn and Suites hotel in Hot Springs, AR near Hot Springs National Park. We are located off Arkansas Highway 7, making it easy to browse antique stores, relax at the famous thermal spas and explore nearby attractions like Magic Springs, Crystal Falls, Lake Hamilton, Bill Clinton Boyhood Home and Oaklawn Racing and Gaming. Amenities include free WiFi, free coffee, a business center, a seasonal outdoor pool, meeting room and guest laundry services. Relax in your guest room with amenities including a flat-screen TV and recharge device. Earn rewards with every stay with our Choice Privileges Rewards program.